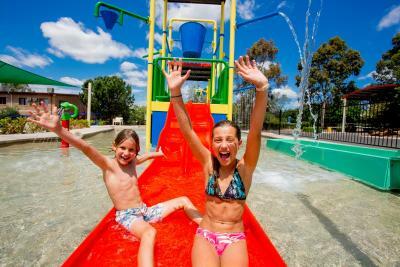 Lock in a great price for Discovery Parks - Dubbo – rated 8.8 by recent guests! We had a lovely new cabin, and loved that there was a coffee van each morning. Room was clean, bed was comfortable and overall very clean. The biggest thing was it was easy to check in, find and check out. Nice park and well-taken care of. Staff supper helpful. Cabins spacious and clean. Love the fact they sent us a welcome text along with updates on what was happening in the park during our stay. Would definitely stay again and recommend to others. Great location to get to zoo. Incredibly helpful and friendly staff. Wonderful campground feel so close to city. 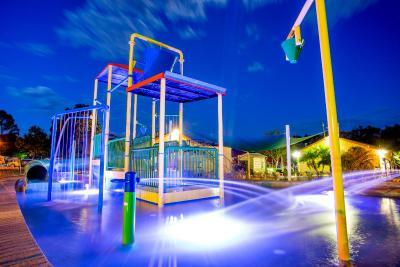 Splash pad for the kids was great. Staff were amazing! The park facilities were great. Distance to the zoo was within 5-10 minutes drive. The cabin was neat and had everything that we need. A dimmer light would be good in lounge/kitchen area . The size of the cabin was perfect for our large family! The overall cabin was spacious and clean, and relatively 'new'. It fit our family of four (2 children) very well and overall amenities were of a good standard and beds very comfortable. 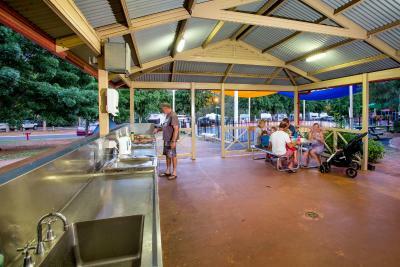 The location to the Western Plains Zoo was excellent and close to the main town of Dubbo. 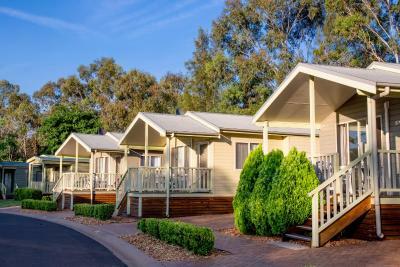 Discovery Parks - Dubbo This rating is a reflection of how the property compares to the industry standard when it comes to price, facilities and services available. It's based on a self-evaluation by the property. Use this rating to help choose your stay! One of our top picks in Dubbo.Boasting free WiFi, a state-of-the-art water park, and a children's playground, Discovery Parks - Dubbo is a 2-minute drive from Taronga Western Plains Zoo. All accommodations includes free onsite parking. 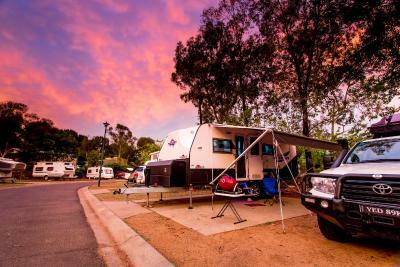 Discovery Parks - Dubbo is a 10-minute drive from the Dubbo City Regional Airport, while the Wellington Caves are 37 mi away. 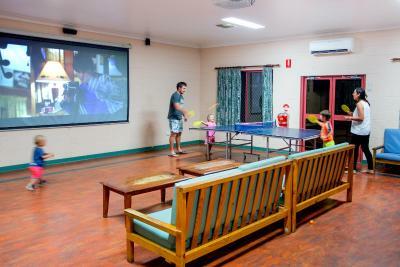 Each of the air-conditioned rooms and apartments offer a fully equipped kitchen, a dining setting, a flat-screen TV and a seating area. 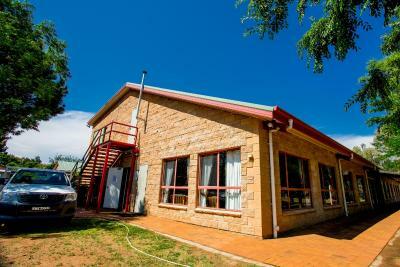 This property is also rated for the best value in Dubbo! Guests are getting more for their money when compared to other properties in this city. 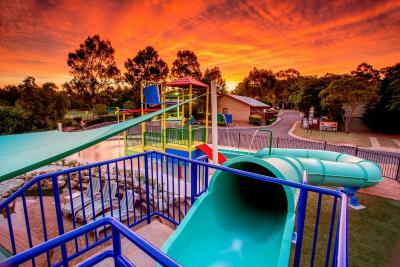 When would you like to stay at Discovery Parks - Dubbo? With free WiFi, this air-conditioned cabin includes a flat-screen TV, a seating area, and a fully equipped kitchen with electric kettle and microwave. The bathroom comes with a toilet. Children under the age of 9 years are not permitted to use the top bunk; children must not play on top bunk. Please take this into consideration when making your booking. With free WiFi, this air-conditioned studio includes a flat-screen TV, a seating area, and a fully equipped kitchen with electric kettle and microwave. The bathroom comes with a toilet. With free WiFi, this air-conditioned cabin a flat-screen TV, a seating area, and a fully equipped kitchen with electric kettle and microwave. The bathroom comes with a toilet. This bungalow features air conditioning, kitchenware and stovetop. This bungalow features air conditioning, electric kettle and seating area. This tent has a stovetop, kitchen and air conditioning. This tent features a microwave, electric kettle and toaster. This tent has a seating area, kitchenware and air conditioning. 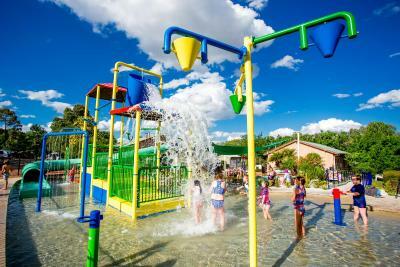 BIG4 Dubbo Parklands is only a short walk from Taronga Western Plains Zoo and has a brand new waterpark for the kids. The park boasts a variety of accommodation from safari style camping and cabins to powered camp sites, there is something for all travellers. 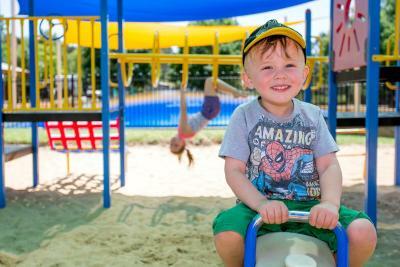 House Rules Discovery Parks - Dubbo takes special requests – add in the next step! 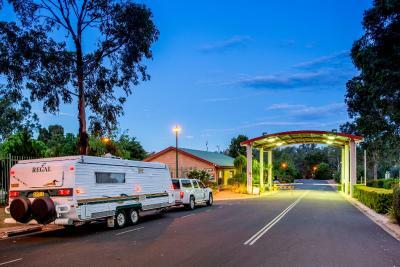 Discovery Parks - Dubbo accepts these cards and reserves the right to temporarily hold an amount prior to arrival. Please note that for 'breakfast included' accommodations, the breakfast provided is a continental breakfast box. Please note that pets are not allowed on the property at any time. 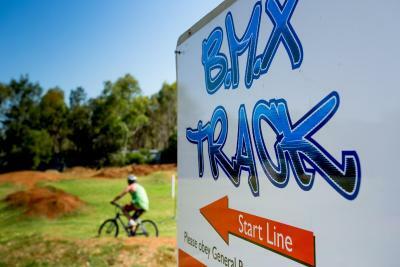 Please inform Discovery Parks - Dubbo of your expected arrival time in advance. You can use the Special Requests box when booking, or contact the property directly using the contact details in your confirmation. There was only half a roll of toilet paper for use in the bathroom, with no spare roll. We had to use tissues for the following morning. We only had booked for 1 night over Easter weekend. The price of the cabin for 1 night was similar cost to a 5 star hotel in Sydney city on weeknight. We can't equate the quality & cost. Noisy, dated, damaged overpriced cabin that actually teetered from one side to the other. Probably one of the worst Discovery parks we have stayed at unfortunately. Asked to stay for extra half hr in room so we could go on the dubbo zoo morning walk and then come back to pack fridge products to make 8hr trip home..... NOT Allowed !!! Noisy highway close by. Floors were dirty- not mopped. Had to make up kids bunk beds. Stove pot was dirty- had to scrub it clean before we could use it. Small double bed. The pool facilities were great for the kids. Close location to Dubbo Zoo. Staff were friendly & welcoming. Loved the portable coffee stand!